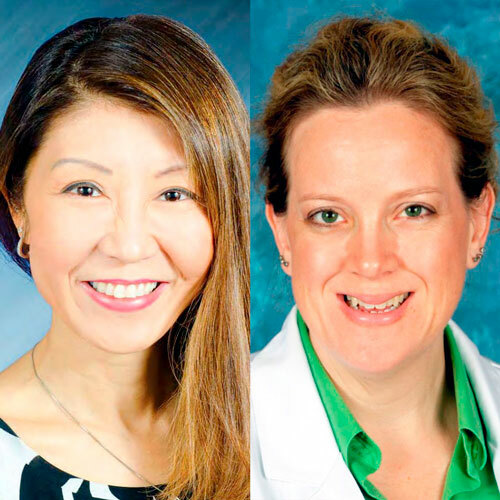 On March 23, we are joined by Dr. Mary Li of Florida Cancer Specialists and Dr. Alene Wright of the New Port Richey Surgery Center at Trinity. Dr. Mary Li has been caring for cancer patients in Hernando County for more than 11 years. The author of numerous publications in neuropharmacology, Dr. Li continues her interest in DNA adducts and carcinogens. She maintains a keen focus on cutting edge cancer treatments and remains steadfastly involved in clinical research as an asset to her practice of oncology and hematology. After acquiring her PhD in pharmacology, Dr. Li completed the internship and residency program in internal medicine at the University of Louisville, where she served as Chief Resident. During her training, Dr. Li published many research papers, case studies and abstracts, for which she received numerous awards. She was chosen to represent her training program and present one of her research publications at the American Society of Clinical Oncology’s annual meeting in 2001. In addition to her research achievements, she received clinical awards as Best Resident and Chief Resident in Internal Medicine, and Chief Fellow in Medical Oncology. After fellowship, in 2002, Dr. Li moved to Florida and served as a medical oncologist and hematologist at New Hope Cancer Centers. Since 2011, she has served Hernando County as a clinician at Florida Cancer Specialists. Often described as outgoing and always positive about life, Dr. Li is devoted to her work as an oncologist, to patient care and to her family. Dr. Li was ranked as American’s Top Oncologist in 2010 by Consumers’ Research Council of America, and was nominated by her patients as a candidate for Woman of the Year for Lymphoma & Leukemia Society in 2013 . She is an active supporter and advocate of many cancer organizations, and continues to donate her time and efforts on behalf of Charity Organizations such as the American Cancer Society. In her spare time, she enjoys various outdoor activities and spending time with her family. Dr. Wright is Board Certified in General Surgery and received her undergraduate degree, with an emphasis in Molecular Biology, from the University of San Francisco in San Francisco, California. She received her medical degree from Creighton University School of Medicine in Omaha, Nebraska, after which she completed a five-year Residency in General Surgery at St. Joseph’s Hospital at the Creighton University Medical Center’s Department of Surgery followed by an additional year of fellowship training in Minimally Invasive Surgery. Dr. Wright performs a variety of surgical procedures specializing in breast disease and other General Surgical Conditions. Dr. Wright is an active member of the American College of Surgeons, American Society of Breast Surgeons, Association of Women Surgeons and the American Medical Association among many other national and regional associations.